For this pick I'm going to do something a little different and double dip. These two cards come from the same set and I wanted to show them off together. They are from the 1998-99 BAP Milestones set. The first is a Dave Andreychuk 500 goals card and the second is a Bernie Nicholls 1000 points card. The coolest thing about these cards is they are die-cut in the shape of the number of each milestone. I think these came from a large box of commons I purchased quite a while ago. 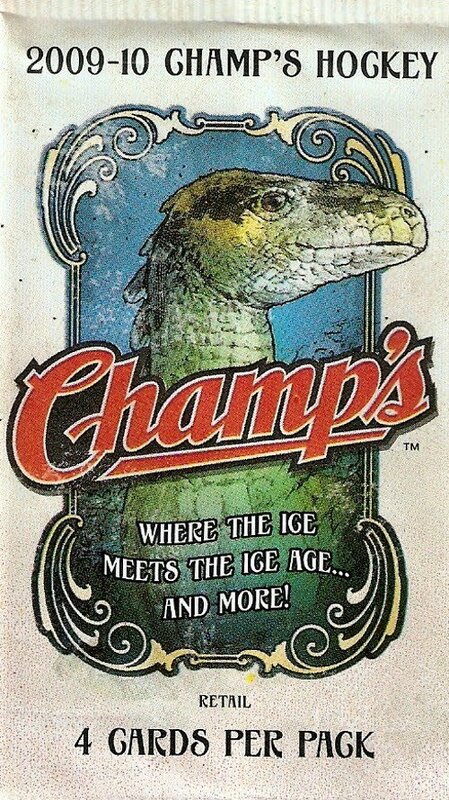 I remember thinking they were the coolest thing back when I was a kid. They're great cards, printed on a very thick card stock, and they look so much better when you're actually holding them. 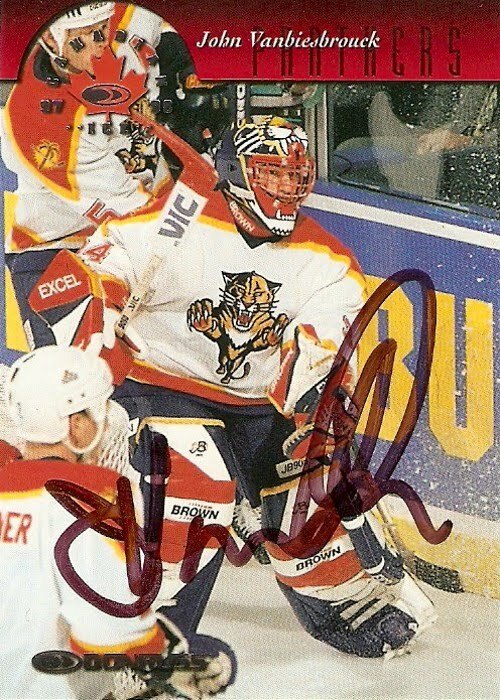 Yesterday was payday and then some as I received two autographed cards from John Vanbiesbrouck. This is the second success I've have with my new round of TTM attempts. 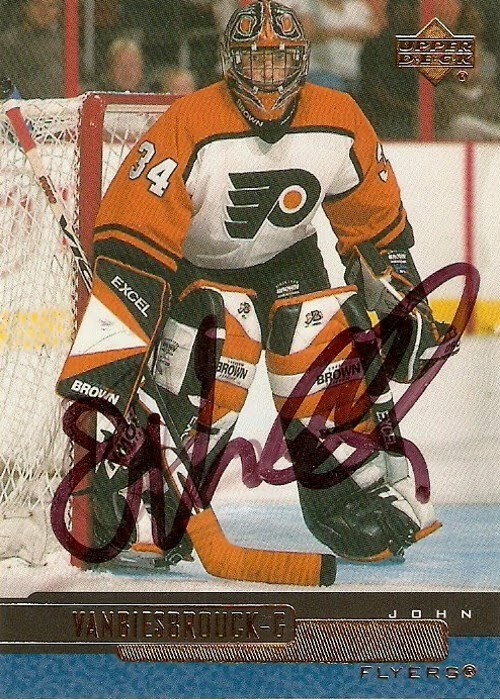 The two cards I sent were from 1999-00 Upper Deck when Beezer was with the Flyers and 1997-98 Donruss Canadian Ice when he was with the Panthers. 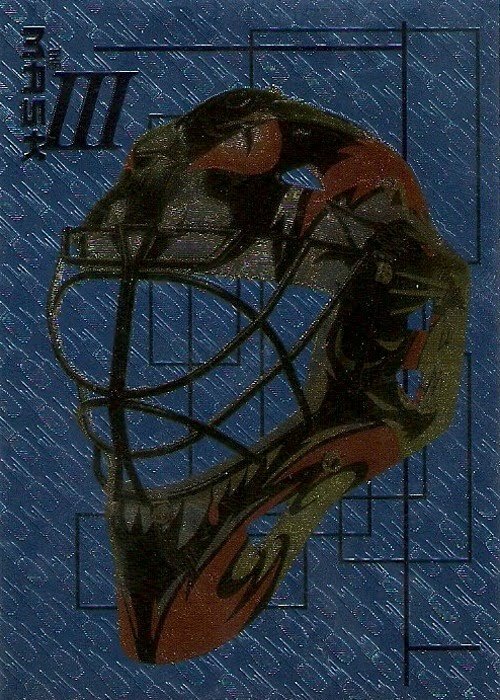 This pick showcases one of my favorite goaltenders, former Red Wing Dominik Hasek. It comes from the Championship Fever insert set from 2000-01 Aurora. This is an awesome looking insert set in my opinion, just another good one from Pacific from back in the day. 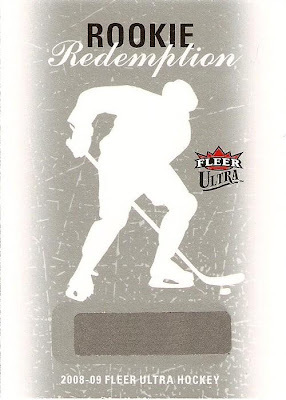 You wouldn't think flames on a hockey card like this would work very well, but this set pulls it off. I really like the background as it has some nice colors and textures, giving it the whole fire and ice kind of theme. It's a little heavy on the gold foil, but what can I say, it works. I also like the use and placement of the team logo in the upper left corner. The obligatory set logo is nicely placed in the upper right corner and doesn't take away from the overall look. 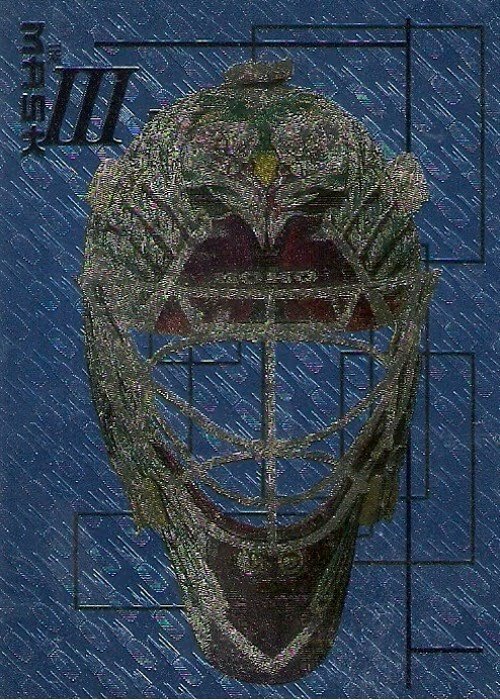 This is another of my past TTM successes with the Detroit Red Wings. 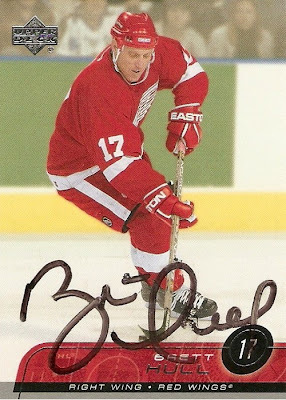 This time its 700+ goal scorer Brett Hull. He signed these two cards from 2002-03 Victory and 2002-03 Upper Deck, both of which show him in a Red Wings jersey. It's not the best looking autograph in the world, but at the same time it's not the worst. The only problem with the first one is it seems like the sharpie was running low or something. As with all of my other past TTM attempts, I don't remember when I sent or received either one of these cards. I do know they were sent out separately, both to the Red Wings at Joe Louis Arena. Well I've hit a bit of a lull in new additions to my collection so I will probably be posting more of these on a regular basis for the foreseeable future. 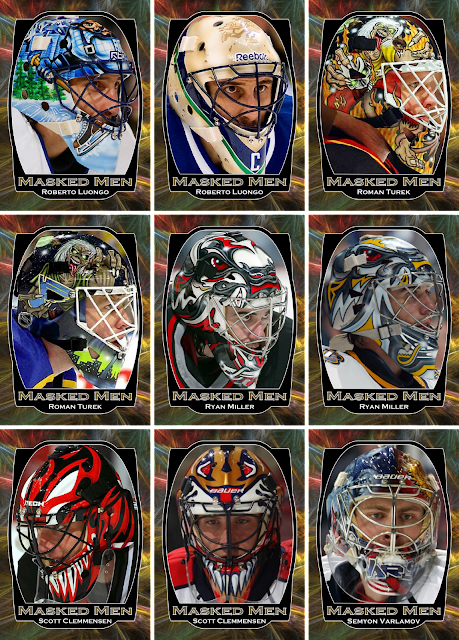 Anyway, this pick is one that showcases one of the coolest goalie masks in recent years. 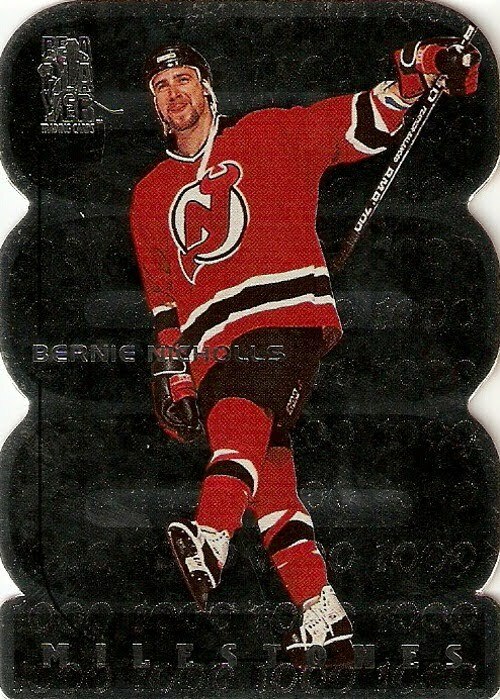 It's a Steve Shields from 2003-04 Topps, specifically a blue border O-Pee-Chee parallel numbered 494/500. 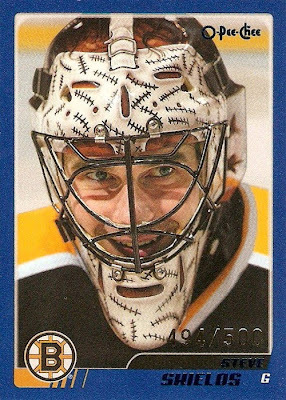 There's nothing better than a base card featuring a goalie mask. There are not enough closeup shots like this in my opinion. This was one thing I liked about the flagship set from Topps, it seemed to always have a nice variety of photos. As far as the mask goes, it has to be the greatest tribute mask out there. If there's one better I have yet to see it. It's something unique and that is always a plus. This pick is yet another card that caught my eye, this time when flipping through the pages of one of my binders. 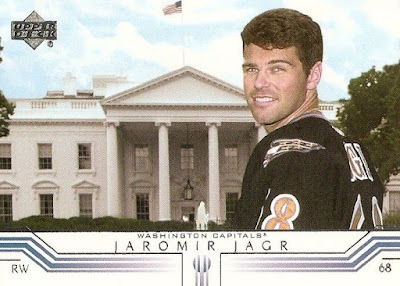 It's a Jaromir Jagr base card from 2001-02 Upper Deck. 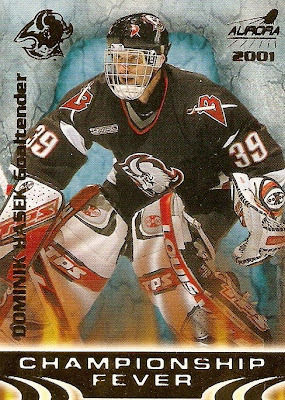 It's another one of those cards where the player recently changed teams over the summer, and with Upper Deck being one of the early releases, there were no pictures of him actually wearing the jersey on the ice. Usually these kind of cards will have a picture from a press-conference or something like that. This one is different though. I can't think of many hockey cards that have a national monument in the background. It could have been worse, if they had put a picture of him in a Penguins jersey. 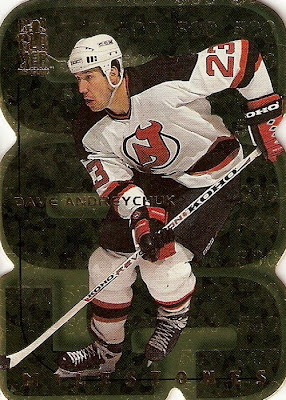 That's one of those things I can't stand, when the team on the card doesn't match the jersey on the player. Check out this perfect example of what I am talking about. I just signed up for Zistle today, a site for cataloging cards, and was wondering if anyone else has seen or used this site and what they think about it. I've started to fill in my collection, but only have the one Jim Howard card in there right now. This pick is another one of those cards that caught my eye when sorting through some monster boxes of commons. It's a Darcy Tucker from 1999-00 Upper Deck. It's not everyday you see a fight in the NHL nowadays, so it's kind of cool to see the aftermath on an hockey card. It's always nice to see a card with something other than generic full body or close up images. This was one of the better looking Upper Deck sets in my opinion. The only downside was that these cards were thicker than most other base sets for some reason. Props to Moody over at Moody's TTM Blog for the Rhodes, Wregget and Essensa addresses. Anyone interested in anything TTM, I highly recommend his blog. 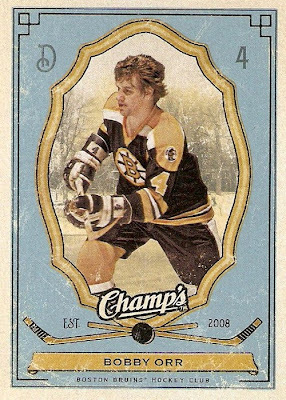 After completing my Masked Men custom set I decided to work on another recreation custom set, similar to my 84-85 OPC custom set from a few months ago. 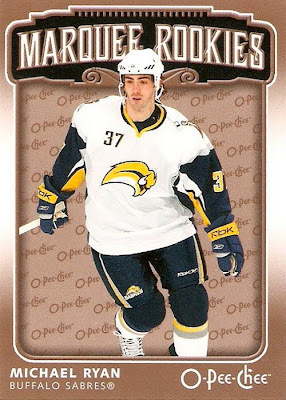 I chose this set because of the retro cards inserted into the 2008-09 OPC release, they were amazing. I used the same process as last time, recreating the design from a scan of the actual cards. 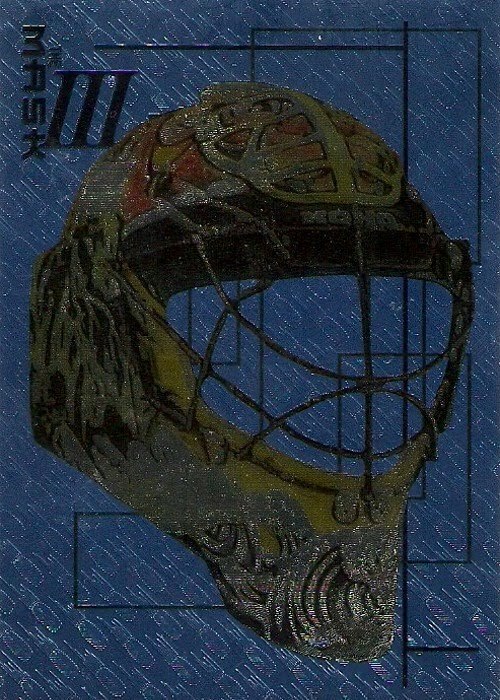 Also similar to the 84-85 OPC set, I'm only creating 27 of these resulting in three nine-card pages. The only difference being that I will post these pages one at a time. 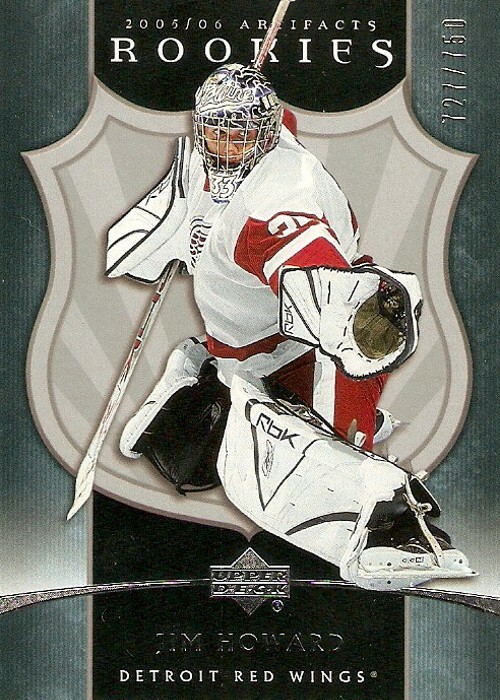 Today's mail brought the first card in my newly started Jimmy Howard collection. It's a 2005-06 Artifacts Rookies numbered 727/750. Not a bad pickup for less than $10. 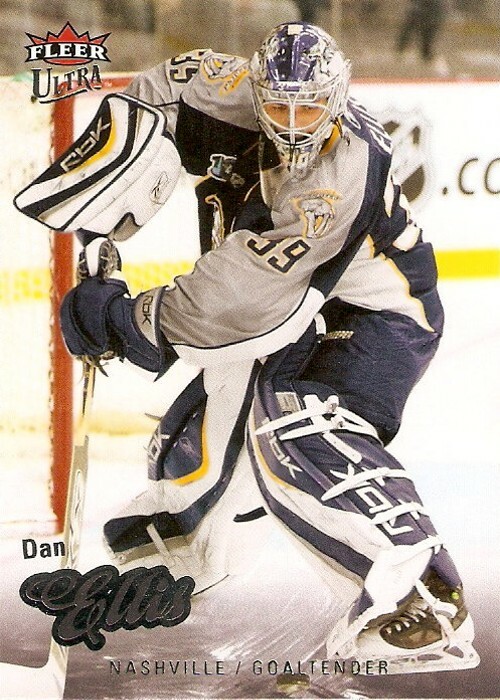 It's a great looking card except for his Maine helmet and the black and white pads. They don't go that well with the Wings uniforms. Most of his rookie cards are the exact same. This is the first of hopefully many cards. I've been trying to find all of them and there are quite a few, most of them aren't too expensive, but that will probably change. There were only a few too pricey for me, namely any of the auto-patch cards from The Cup. So if anyone has any unwanted Jimmy Howard cards taking up space, let me know, and maybe we could work out a trade. I've got plenty of cards I want and need to get rid of. 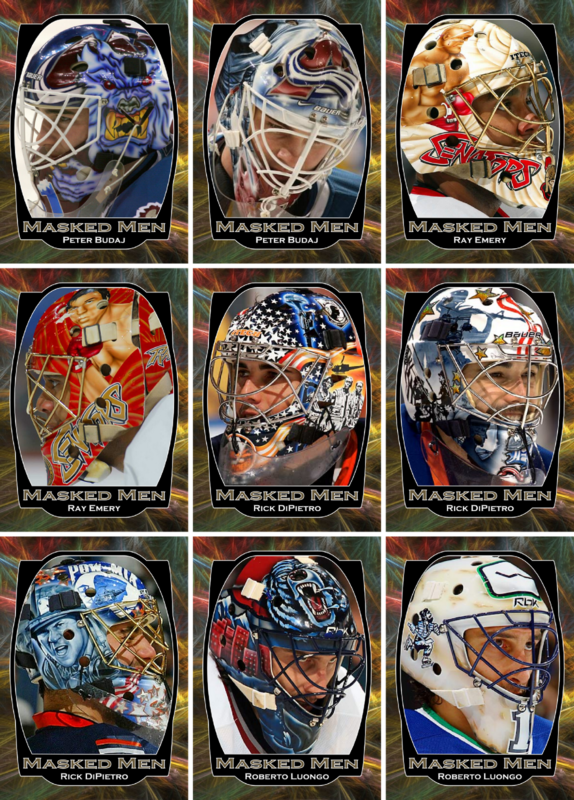 This is it, the last two pages of my custom Masked Men set. This was the first major custom set I finished and I have to say I really appreciate all the positive feedback they've received. There are some pretty nice ones in this set, but I would say my favorites have to be Rask, Toskala and Dubielwicz's fisherman mask. For some reason I like that logo and the jerseys that went with it even though most people seem to despise them. 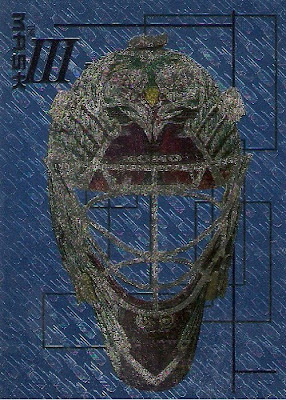 This pick is another unique card from my personal collection. 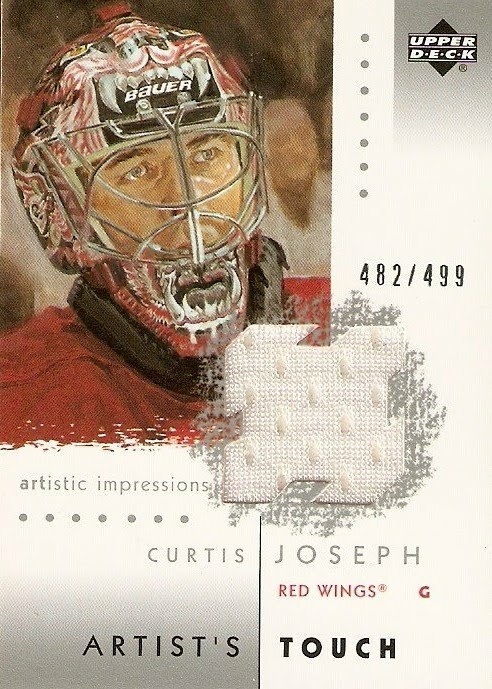 It's an Artist's Touch Curtis Joseph jersey card from Upper Deck's 2002-03 Artistic Impressions. I bought this card on eBay a few years ago for around $5 once Cujo became the Wings starting goalie. As you can see from the scan it is numbered 482/499. I really like the portrait look to the cards from this set, especially this particular insert set. It's something that you don't see everyday. What better way is there to start a new week with another set of Masked Men customs? 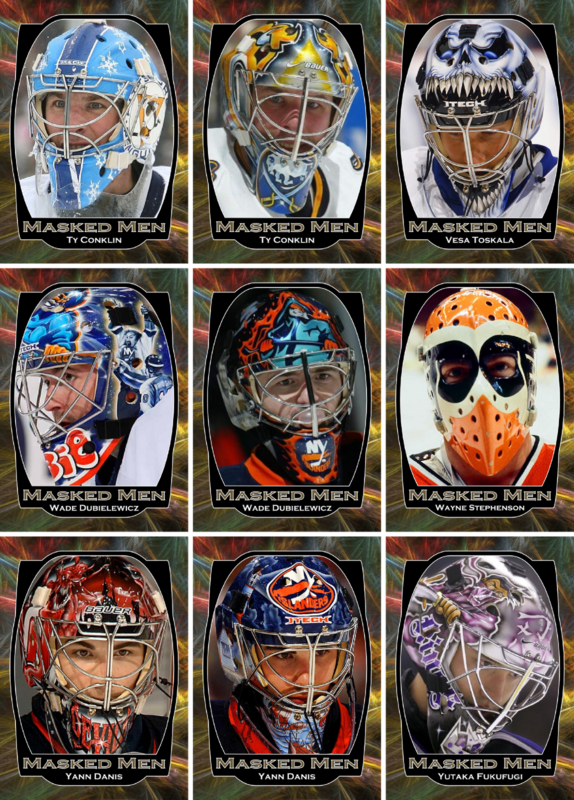 These two pages also feature a variety of masks, no vintage masks though. 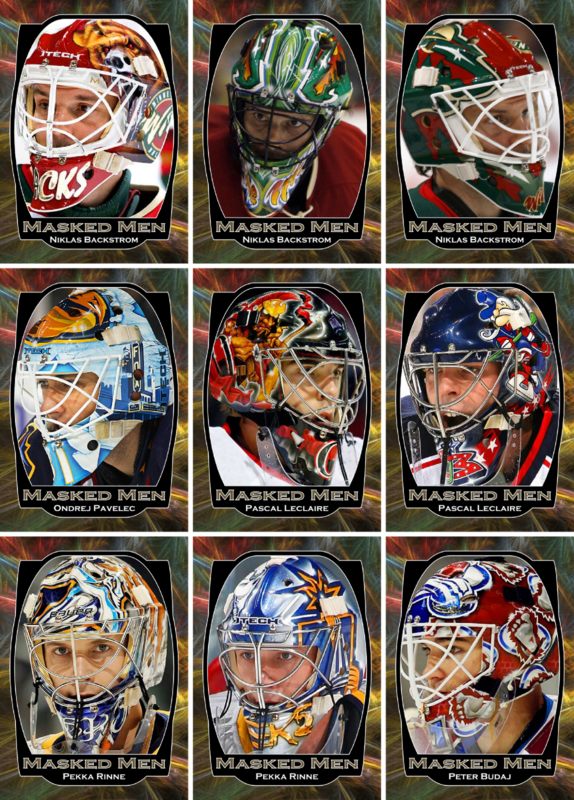 Of this set, my favorites would have to be Roman Turek's Calgary mask, Stephane Fiset's Quebec mask and Steve Shields' tribute mask. Lately I've been thinking about beginning a player collection and had some trouble deciding who to collect from my hometown team. 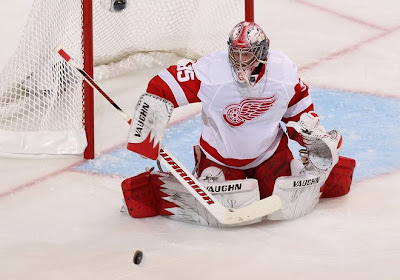 I think I've made up my mind now with Jimmy Howard and the way he's played this year for the Wings. Since he broke into the league in 2005-06, I've always been looking forward to him taking over the starting role and it seems as though that has happened for good now. 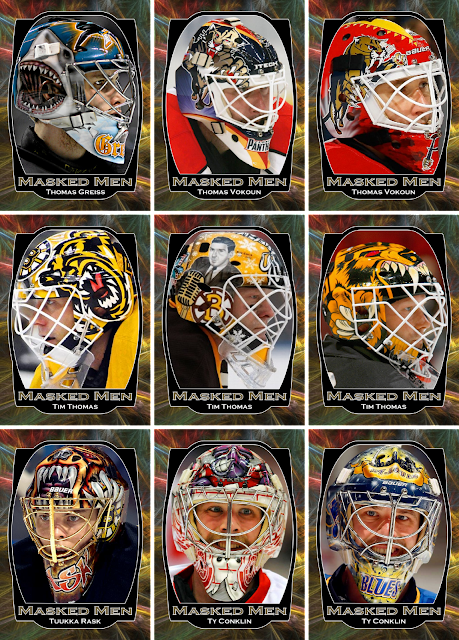 On top of that, he has one of the best goalie masks I've seen for the Wings probably since Cujo. A trip to the local card shop yielded nothing yesterday so I hopped on eBay and found all kinds of stuff, although I don't think he has all that many cards yet. I figured what better way to start a player collection than with one of his many rookies, a 2005-06 Artifacts numbered out of 750 to be exact. I won a last minute bidding war and got it for $10. Hopefully this is the start of another great adventure in collecting. Finally, does anyone have any tips on player collecting? I returned some bottles this morning and thought it would be nice to use the money for some hockey cards. I went to my local card shop, Extra Innings, and picked up two $1 packs of 2006-07 O-Pee-Chee just to have something to open. Like the last time I opened some of these, I was not expecting to pull anything spectacular. That was the case once again, although I did end up with a nice mix of base cards so it wasn't a bad purchase at all. Here is the rundown. This pick is from another one of those mid 90's sets that I can't get enough of. 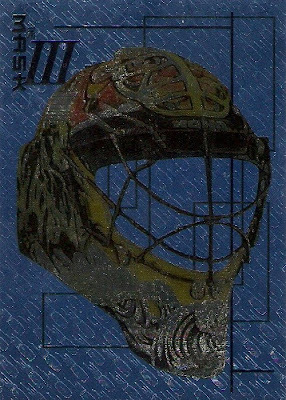 It's a Hnat Domenichelli from 1996-97 Fleer Metal Universe. There is just something about this set that I really like, with all the different backgrounds they came up with for. Some of them were not so great, but this is one of the better ones. I really like the breaking through the brick wall effect. The other thing I like about this card is the fact that it features the Whale. 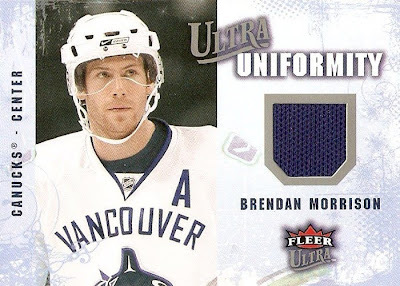 I always liked these jerseys and it's always nice to come across a card featuring one. This is another of my past Red Wing TTM successes. 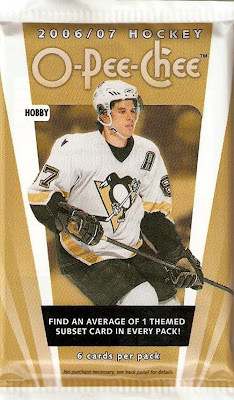 It's a Luc Robitaille from the 2002-03 Topps base set. As with the others, I don't remember how long it took to receive this one. It's not the best looking autograph, I think it was smudged in the SASE because it was sent back without the plastic sleeve that I had sent the card in. Other than that it's really cool to have an autograph from another Red Wings and a 600 goal scorer. The mail came today and brought the three latest additions to my Mask collection. I found them on eBay last week and couldn't pass on the $1 starting price. I ended up getting all three for $5 with shipping. They included one of Luongo's Panthers masks, Weekes' Hurricanes mask and Giguere's Mighty Ducks mask. I have to say I am becoming more and more fond of these cards every time I add one to my collection. These three bring to total to 14. 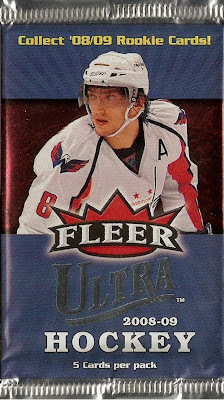 They are just awesome looking when you're holding one in your hand, these scans are nothing like the actual cards. 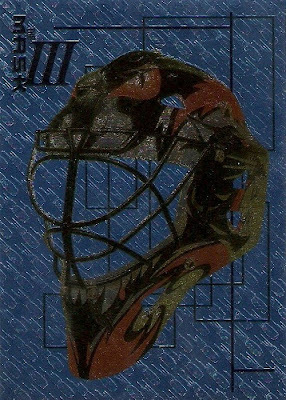 I love the blue background with the textured flying pucks and the random lines. 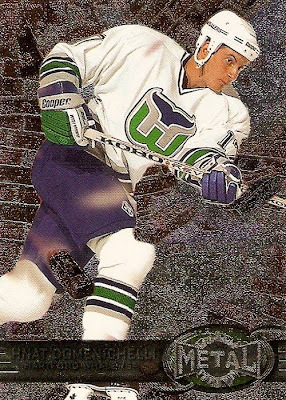 This pick is another oddball like the Kariya from my last post. It is just another random 90's base card that I came across in one of my binders and just wanted to share. 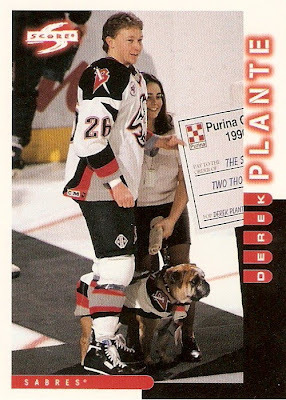 It's from 1997-98 Score and features former Buffalo Sabre Derek Plante. 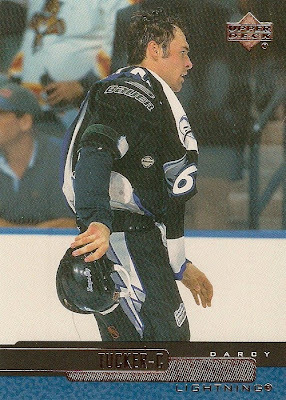 When I saw this card, the first thing I noticed was the fact that is was another card showing a player not in action on the ice, something some collectors dislike. Then there's the dog wearing a Sabres jersey. Now that is something you just don't see everyday. I want to start this week in good fashion, so here we go with the next 18 cards in my custom Masked Men set. These two pages feature a variety of masks, all from the last few years or so. This set has some really neat and colorful designs. 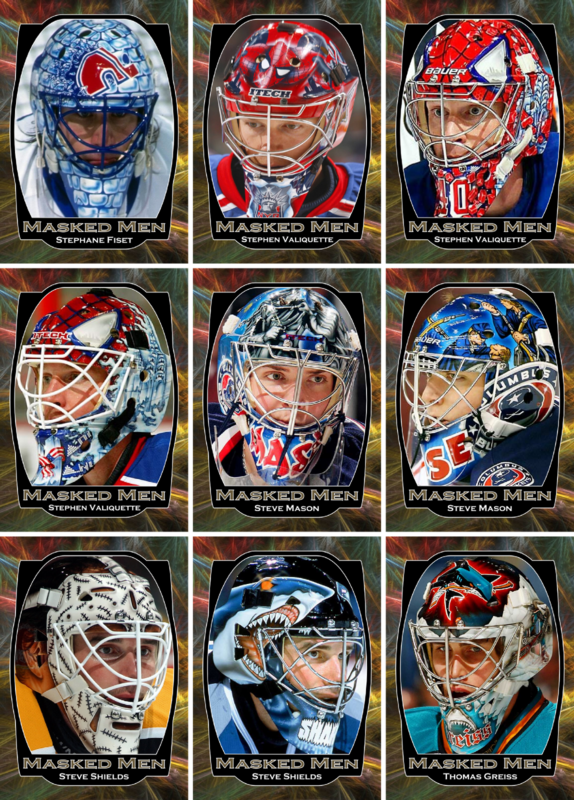 Of this set, my favorites would have to be Rinne's mask on the bottom left of the first page, Luongo's mask from before Vancouver reverted back to their original colors and Budaj's mask in the middle of the top of the second page. This was the other sealed box I picked up at the card show two weekends ago. I found this after I had the Pinnacle box and it fit the bill for something a little newer while still being on the cheap side. I've never busted a box of this so let's see what was inside. The base cards from this set were actually pretty sharp as most Ultra sets have been lately. There was an excellent selection of photography as well, with pretty much every card having a full body shot like this one featuring Dan Ellis of the Nashville Predators. The Gold Medallion versions of the base set, which fell one per pack, were pretty sharp themselves. I like the way they isolated the player in front of the gold background. 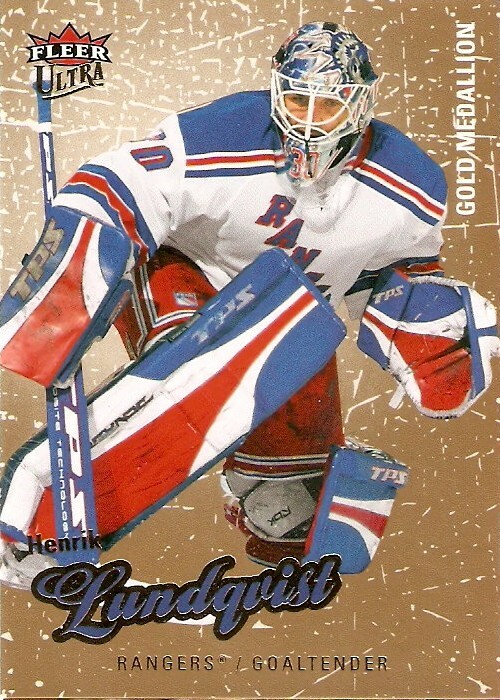 This one featuring Henrik Lundqvist was one of my favorites. The Ultra Rookies were basically base cards, with the only difference being the player's name was in a non-script font above the "Ultra Rookie" in script font. The were supposed to fall six per box and I came away with four of them, plus three Gold Medallion rookies. 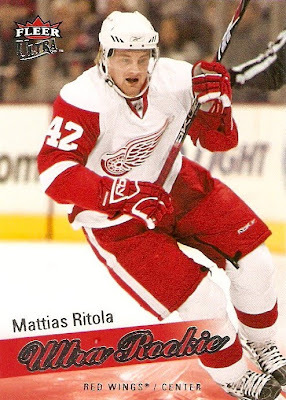 The base rookies included David Brine, Claude Giroux, Dan LaCosta and this Mattias Ritola. The Gold Medallion rookies included Jordan LaVallee, Jordan Hendry and Clay Wilson. Now onto the inserts. The Difference Makers were surprisingly decent looking for an insert set. I really like the background and how the team color is used. 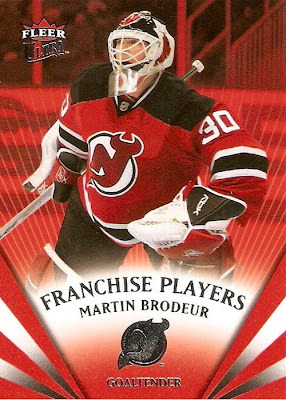 I ended up with seven of these including Brodeur, Lidstrom, Datsyuk, Sundin, Thornton, Miller and Ovechkin. The next insert set was the Franchise Players. These were not as good as the Difference Makers, but what can you expect from a lower-end product like Ultra. I came away with three of these including Sakic, Sundin and this Brodeur. 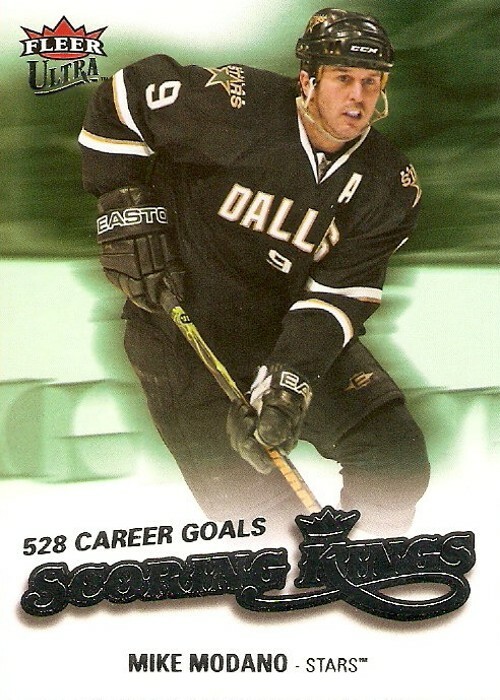 Another insert set similar to the others is the Scoring Kings set. These aren't the best and I wish there was a little more variety of inserts in these types of releases. I came away with six of these including Iginla, Alfredsson, Staal, Crosby, Sakic and this Modano. 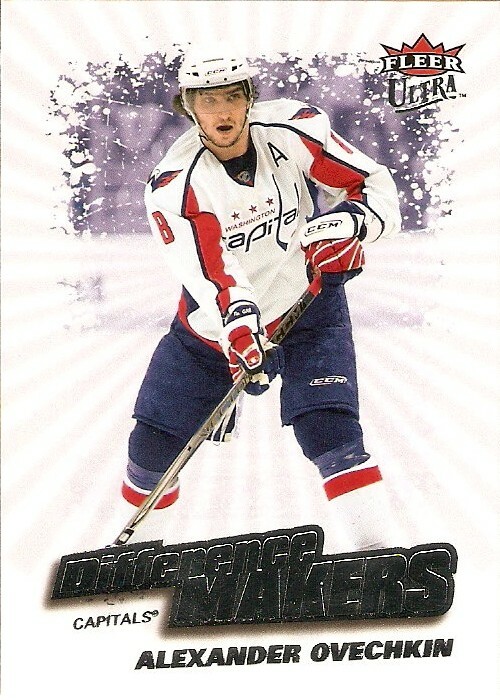 The rookie redemptions for this set were expected to fall one in every 72 packs, or two boxes. Well, I guess I beat the odds on that one as I managed to get one of them. I already redeemed it and I just have to wait and see what it turns out to be. 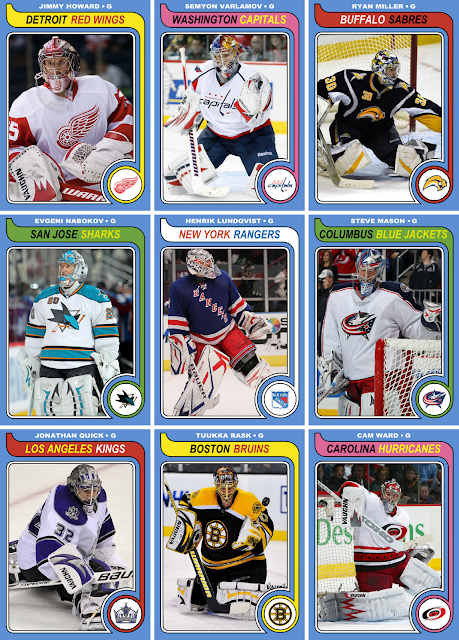 This final insert set offers something a little different than the rest by highlighting personal achievements from the previous season, 2007-08. 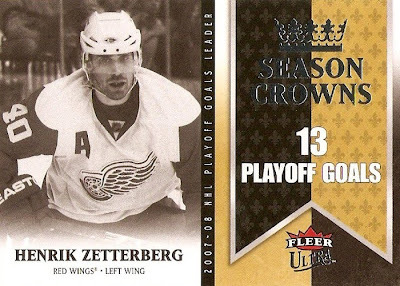 I came away with three of these including Osgood, Ellis and this Zetterberg. The only memorabilia inserts in this set were the Ultra Uniformity, which were supposed to fall one per box. I ended up with two including Arron Asham and this Brendan Morrison. Overall I think this box was a good value for only $29. There were 36 packs and as far as I'm concerned the more the better. The base cards were sharp which is always important. The only shortfall would be a lack of variety in the inserts department. 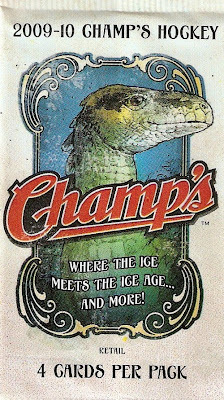 I was at Target the other day picking up some Ultra-Pro pages for my recent box breaks and couldn't resist grabbing one pack of Champ's. I've seen so many breaks of this all over the internet and I really like the base card design. For $1.99, I couldn't pass it up. Like most retail packs, I was not expecting much. I did get the four cards as promised on the wrapper. There were three base cards, one of which is shown below, and then one of the minis. Overall not a bad pack, here is the rundown.